Tiburon Place homes are located in the Northwest Huntington Beach area of Huntington Beach, California. 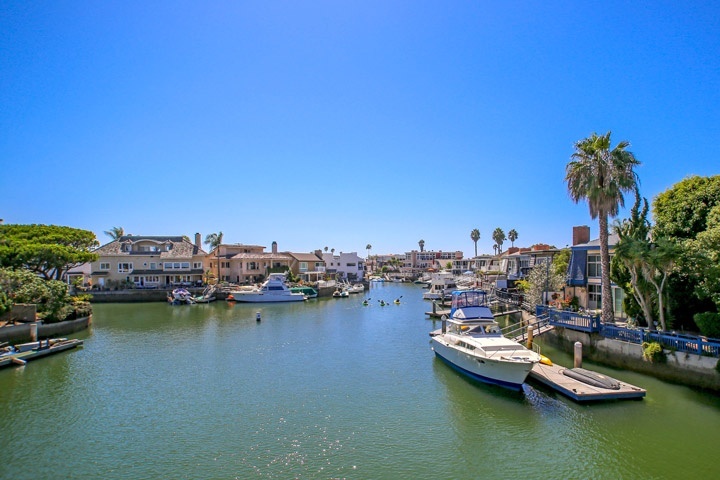 The Tiburon Place community is very small but ideally located on a small channel in the Huntington Harbor. The homes were built in the late 1960's and features three to four bedroom floor plans that range in size from 1,706 to 2,733 square feet of living space. There are a total of 10 detached homes located here on a quiet cul-de-sac location that all have wonderful water views. The homes are pictured above on the right hand side of the channel. These are rarely available and are featured here when they come on the market for sale or for lease. Please contact us at 888-990-7111 with questions regarding this community and any of the homes listed on our website.